The Book of Enos… is the fourth book in the Book of Mormon…. Enos opens up speaking of the knowledge his father had taught him, Enos goes out to hunt and while hunting finds himself pondering the words spoken by his father concerning eternal life and the joy of the saints. Here, Enos cried out to God for his sins to be forgiven. God answered his prayer, just like he answers all of our prayers. God forgave Enos of his sins, because of his faith in Jesus Christ. This is the first principle of the Gospel of Jesus Christ, Faith in Him! 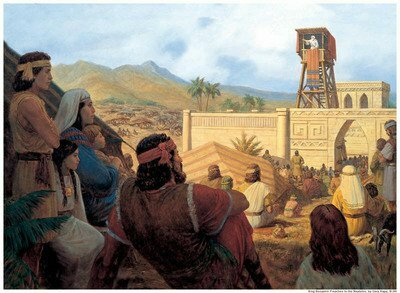 Enos goes on to explain how the Nephites had attempted on numerous times to reach out to the Lamanites to help them come unto Christ, but their labor was in vain. Enos explains that the Lamanites were “…a blood thirsty people, full of idolatry and filthiness…” (Enos 1:20) Enos saw many wars and contentions between the Lamanites and the Nephites. Jacob explains that he felt as if his death would soon come, he charged his son Enos with the preservation of the records. Here Nephi explains that not EVERYTHING God says or commands can be written down. However, the most important and precious things can be recorded. Nephi explains that he is just a man, a man who God called to speak, and while his writing is not the best… his speaking, through the Holy Ghost is perfect, because it is the word of God that can be carried to the hearts of the children of men. Nephi explains that the words he writes comes from God, those who cannot see the plainness of truth, and are angered by its words can only have the spirit of the devil. Nephi urges his own people and those people who will read this book in the future (us) to heed to its words; “…hearken unto these words and believe in Christ; and if ye believe not in these words believe in Christ. And if ye shall believe in Christ ye will believe in these words, for they are the words of Christ, and he hath given them unto me; and they teach all men that they should do good.” (2 Nephi 33:10) Again, Nephi explains that these words are the words of Christ. Those who believe in Jesus Christ will know that these are His words and shall believe in them also. Those who believe in Jesus Christ should recognize His words, and will be shown that they are His words, whether in this life, or in the next life… before the bar of judgment. These are simple truths; the Book of Mormon is Another Testament of Jesus Christ. 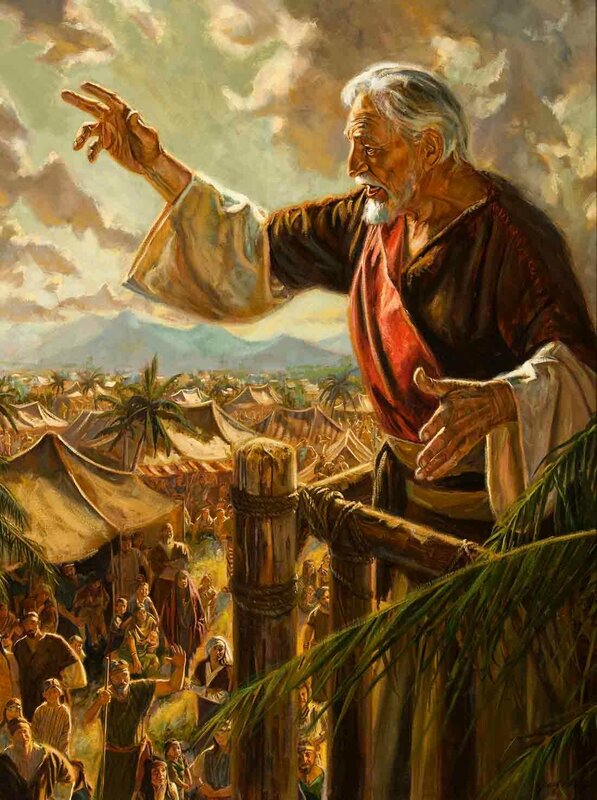 Nephi testifies of Him, and those who believe in Jesus Christ will believe the words of Nephi, and those who believe the words of Nephi will know that the Book of Mormon is truly Another Testament of Him. Those who believe that the Book of Mormon is true, will know that The Church of Jesus Christ of Latter-Day Saint is His Restored Church on the Earth today with Modern Prophets who lead and guide His people. Nephi sees that many of his brethren are questioning what they should do after they had obtained a faith in Jesus Christ, repented of their sins, were baptized and received the Holy Ghost. He asks them if they had remembered that after you receive the Holy Ghost, you are able to speak with the tongue of Angels! After we are baptized, we must ENDURE to the end. Part of this enduring is to constantly receive strength in all the daily battles against Satan that we will fight. Nephi continues… “…feast upon the words of Christ; for behold, the words of Christ will tell you all things what ye should do… if ye cannot understand them it will be because ye ask not, neither do ye knock; wherefore, ye are not brought into the light, but must perish in the dark.” (2 Nephi 32:3-4) Here, Nephi explains that it is not just enough to pray, nor is it enough to just ponder and read the words of Christ. No, they must BOTH be done in order to understand the Words of God. We must diligently study the scriptures and then pray to understand the meaning of them. After baptism, we receive the Holy Ghost, and with this Gift of the Holy Ghost we will be given guidance, so long as we do not upset the Spirit. We do this by reading and praying daily, avoiding sin and the unclean things of the world. We need to keep our minds as clean as possible. It should be recognized that no one, besides Jesus Christ, is perfect. Therefore, we need to strive to become like Jesus Christ… but when we fall short, we need to repent and move forward in His Gospel.